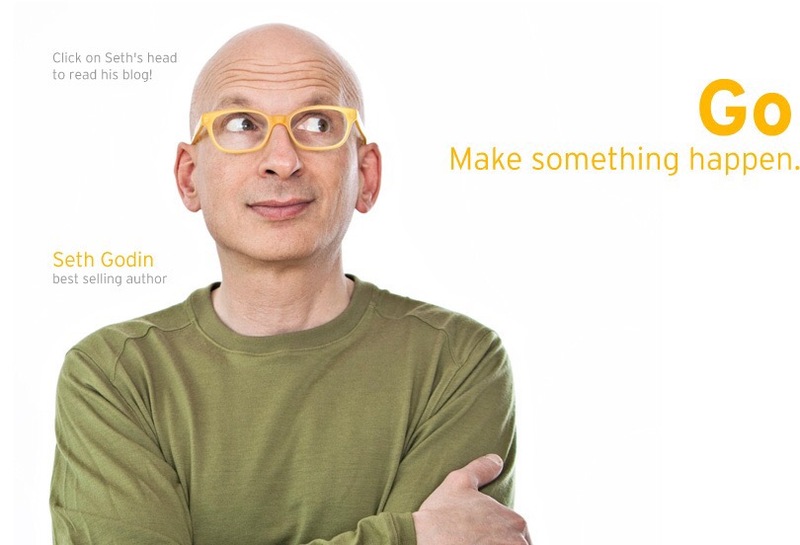 I receive Seth Godin’s daily blog via email. He always has brilliant insights about trends and marketing and hope and lots of other topics. Here is a link to his blog post about this tradition. He has a link in that post to a free eBook which can be downloaded. In that eBook, you will discover his thoughts on a good and wholesome family tradition. Part of what I love about Seth is his incessant pursuit of goodness and making the world a better place. This entry was posted in Uncategorized and tagged Godin, Seth, Thanksgiving. Bookmark the permalink. Dear Paster Michael, Just want to let you know I very much enjoyed reading Seth Goden’s blog post on Thanksgiving gratitude. Downloaded it for use another year or even another time since I discovered it after Thanksgiving. I work on the young in my life all the time to help them realize who they are and what they have is worthy of thankfulness and to consider sharing in some way. These writings helps me with ideas and new approachs to gratitude. Thanks, Joyce. Good to hear from you. We are thankful, as well. I’ll be at a Thanksgiving meal in Saturday. May use it there. Always willful to share how we contribute to giving thanks in this world.